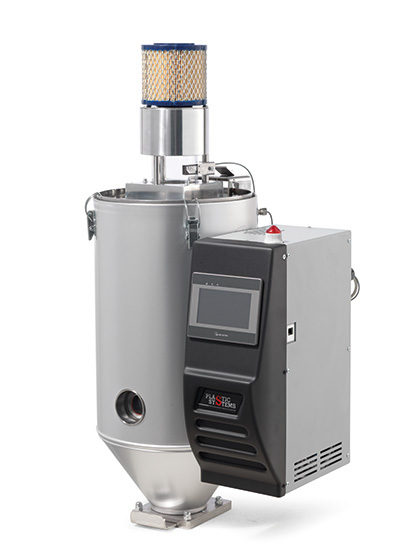 The small dryers DAC series are the ideal solution for drying hygroscopic polymers in small productions. The series includes 7 models of dryers with hoppers from 2 dm3 to 100 dm3 for throughputs up to 50 Kg/h. • Microprocessor control with keyboard and LDC display. 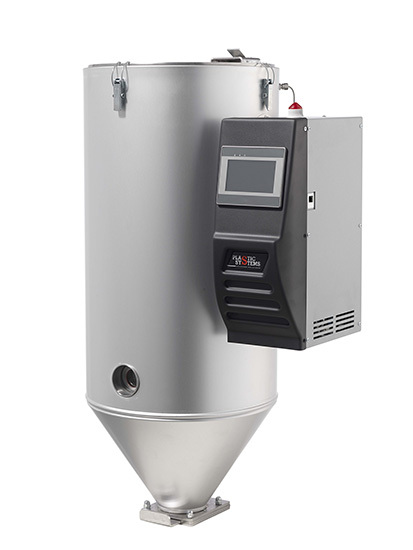 • Built-in dryer unit with molecular sieves. • Process air managed by modulating valve. • Pyrex or steel base with side exhaust (DAC6 - 50). 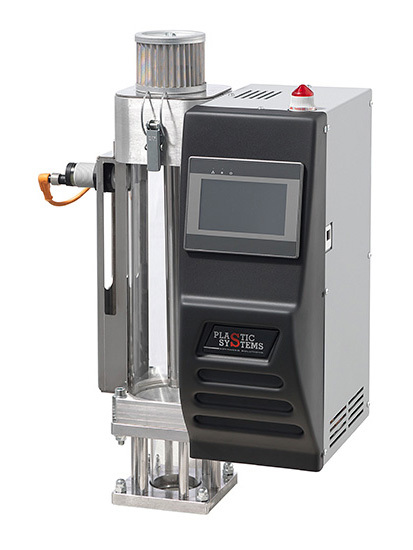 A compact unit that can be installed on IMM or small- sized extruder. Easy programming with two parameters to set: type of material and hourly consumption. Depending on the throughput, the machine sets the correct airflow. The antistress function prevents the degradation of the polymer due to overdrying.